In Part IV of The Ideal WWI Figure, let’s look at how women with full busts achieved support and the fashionable silhouette of the period. One of the most common questions I get asked about the Rilla Corset is how to wear it/what you do for bust support if you are very full busted, as it sits below the bust. 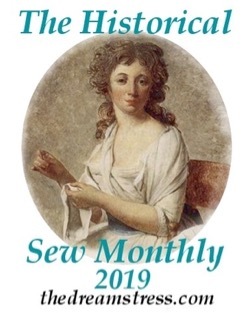 To answer that question, let’s go back to the source, and look at period accounts, illustrations, and extant examples of bust supporting garments. There is no better way to find out how to support your bust then to see how it was actually done in period. As we’ve seen from looking at the figure ideals in the 1910s over the last three posts in the series, the ideal WWI bust, whether small or big, was low and drooping, rather than high and perky, as is the modern bust ideal. This makes the WWI era attitude to bust support quite different to modern attitudes. Today we try to lift the bust and make it sit out from the body, and we support the bust in part from the shoulders, to hold it as high as possible. Keeping your bust comfortable, while letting it sit as low as possible, requires a totally different type of undergarments, and a totally different type of bust support: one dependent on compressing your bust, rather than lifting and hanging it from the shoulders. 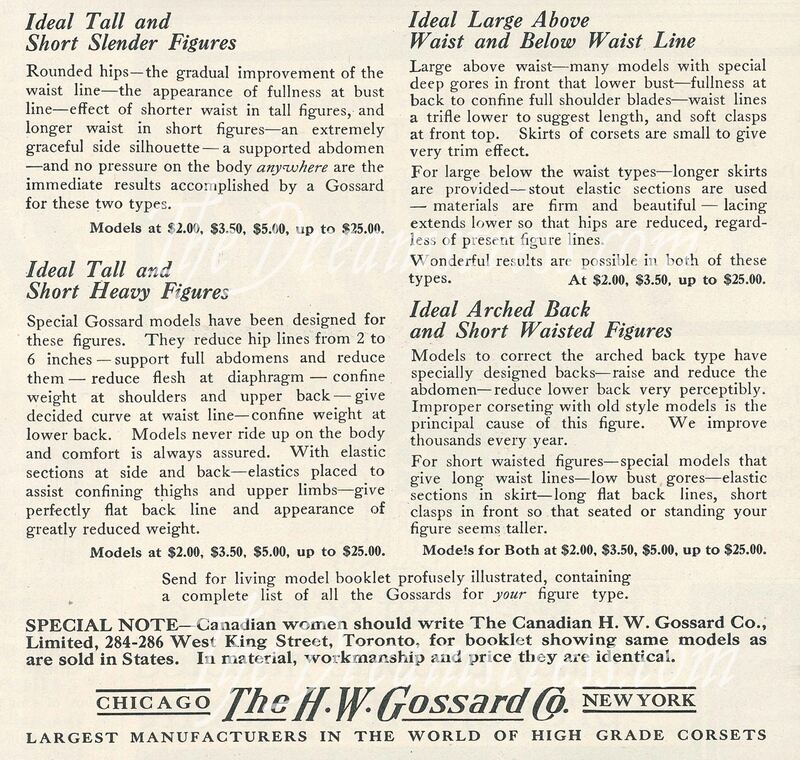 While the one above will do almost nothing in the way of bust support, the right chemise or combination, such as #2 shown in the advertisement below, made out of slightly heavier fabric (a sturdy lawn rather than a fragile voile) can provide a lot of support. Wearing History has a nearly identical combination pattern. 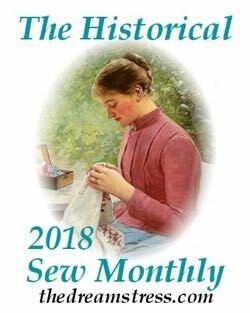 The winter alternative to a chemise was the knitted, elasticated union suit, which, just like a very firm singlet camisole of knit fabric, or a very light sports bra, will provide some amount of support. 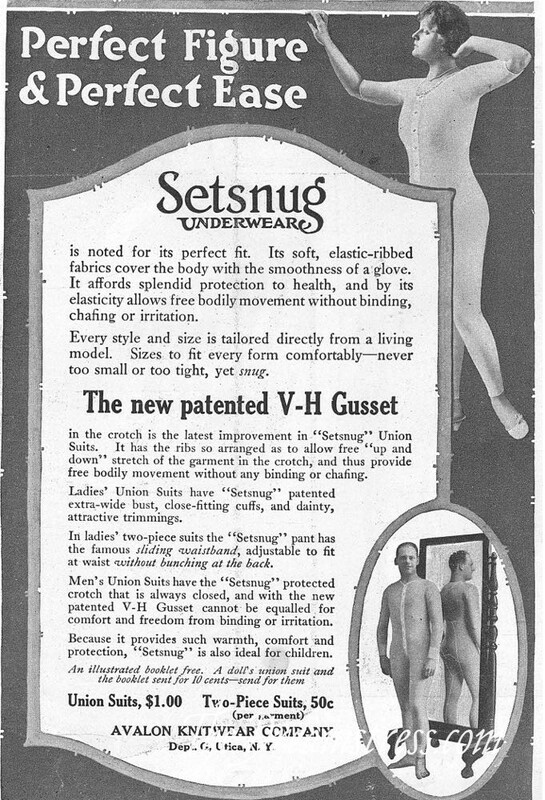 Over the chemise or the union suit goes the corset, and that can also help a lot with bust support. The most important thing to keep in mind when making a WWI era corset is that it should NOT lift your bust. 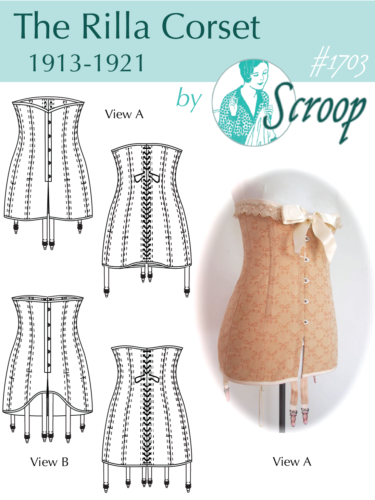 The ideal bust is as low as possible, so the corset either needs to sit completely below the bust, so it can’t lift it up, or widen out enough so that the bust sits down in the corset. 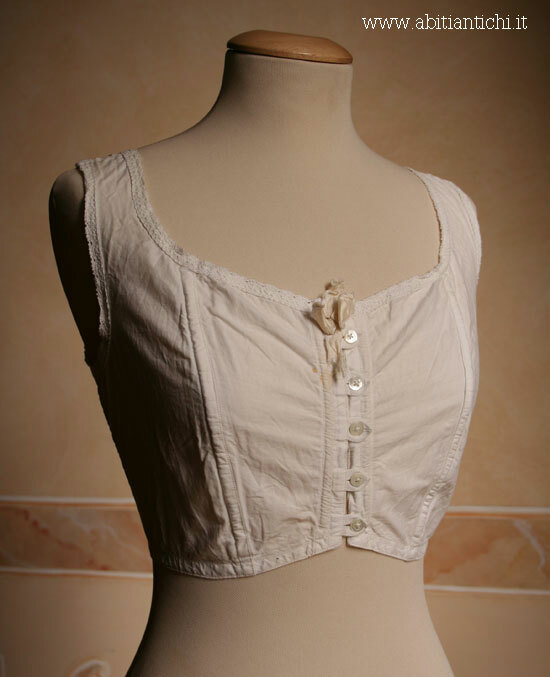 With a sturdy chemise/combination pulled snugly down into a well fitted corset, which has room for the bust to sit down into the front fullness in the corset, many women, even with larger busts, will find they have enough support to feel comfortable. The amount of support given will definitely not be as much as we’re used to with modern bras, but that is period correct. 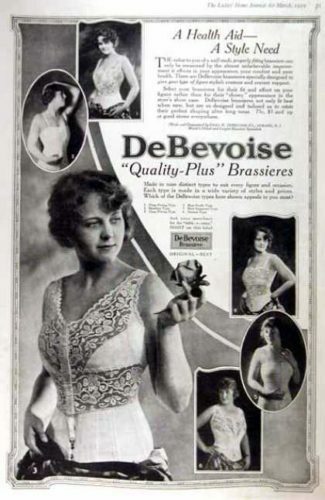 Even as a barely-B cup I found not wearing a bra quite disconcerting for the first few days of wearing purely 1910s clothes for my Fortnight in 1916 experiment, but I quickly got used to it, and found the undergarments quite comfortable. Other women who have tried it have reported similar things, with the largest-busted women I’ve spoken to who finds just chemises and corsets perfectly supportive is upwards of an E cup (actual E, not DD). 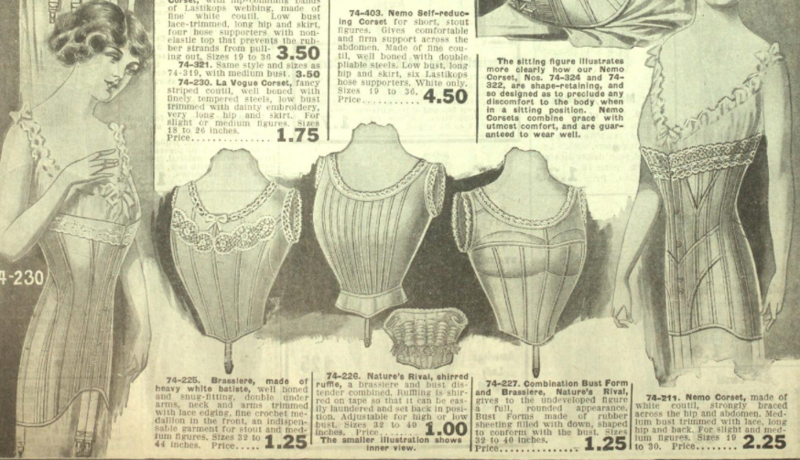 If you don’t feel comfortable with just a chemise and corset, or if you’re trying to achieve the most fashionable figure possible, the in-period solution was a firm, structured garment which went over the corset, supporting and compressing the bust into the most desirable shape. These could be called, variously: brassieres, bandeaus, bust correctors, bust confiners, bust forms, and dress forms (very similar looking devices for adding to the bustlines of less-well endowed ladies, like the central ‘Nature’s Rival’ model above, were also called brassieres, bust correctors, bust forms, as well as bust distenders (! 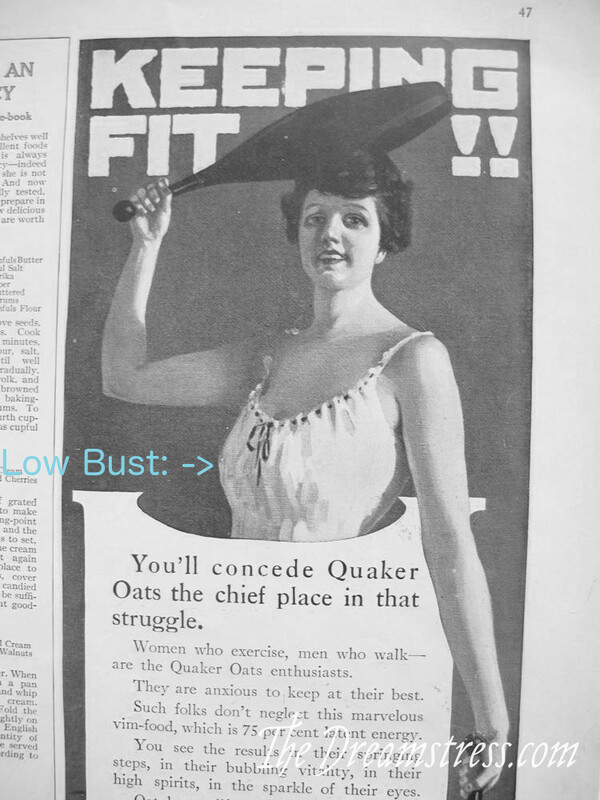 ), bust improvers, and bust enhancers). I’ll use brassieres as a general catch-all term for the rest of this post. 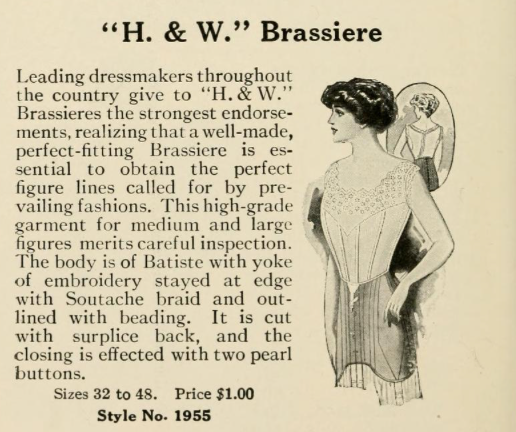 Early-mid 1910s brassieres which provided maximum shaping and support were princess seamed garments of firm fabric, generally with flat felled seams to provide some structure, and often with additional boning. 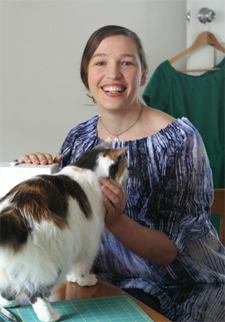 If you want to make your own, HistoricallyDressed has provided a pattern taken from an original period example, or a reasonable make-do version could be hacked from any well-fitted-to-your figure princess seamed bodice pattern. 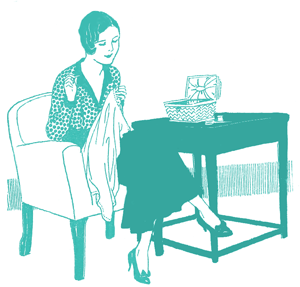 For support with less structure, catalogues also show simple rectangles of fabric gathered or pleated into boned side seams, to provide compression and support in a different way. In contrast to the boned and shaped brassieres shown above, brassieres from this period could be extremely delicate and provide very little additional support, even in large sizes. This example from my collection is made for someone with a 40″-44″ bust measure, but has no shaping other than that provided by beaded ribbon drawstrings, and is made of fine silk. 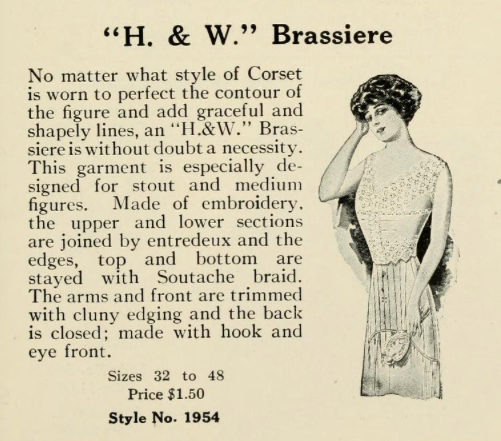 As the 1910s progressed and the fashionable bust became smaller, the most structured and confining brasseries changed from garments with distinctly curved princess seams, to less shaped garments which were firmly focussed on bust compression. 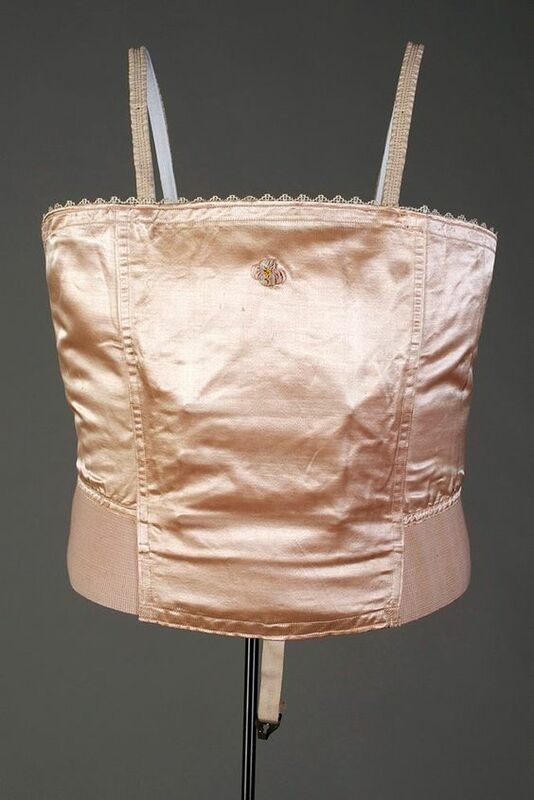 Note the hooks on both of those brassieres, which would clip to the corset worn with the brassier to keep it firmly in place. 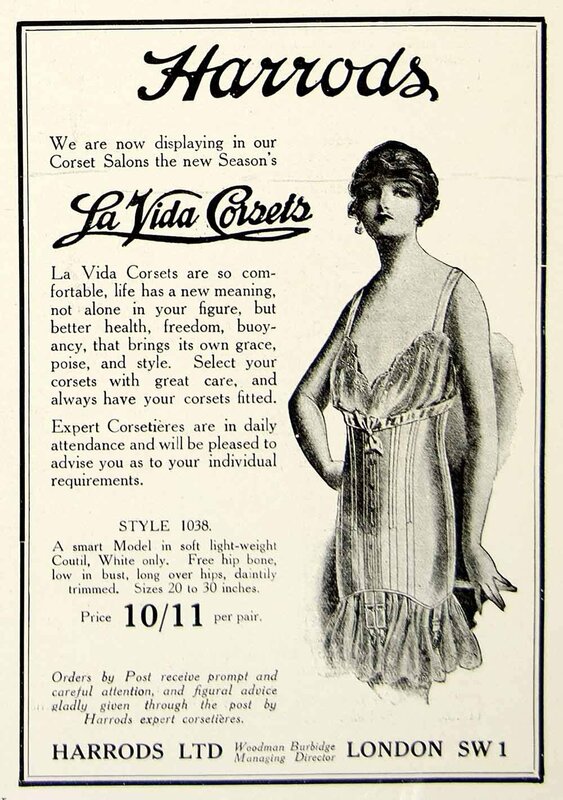 These would help to compress and flatten the bust, achieving the straighter, waistless, bustless figure favoured at the very end of the 1910s, while providing support to a larger bust. None of them, however, completely obliterate the bust. 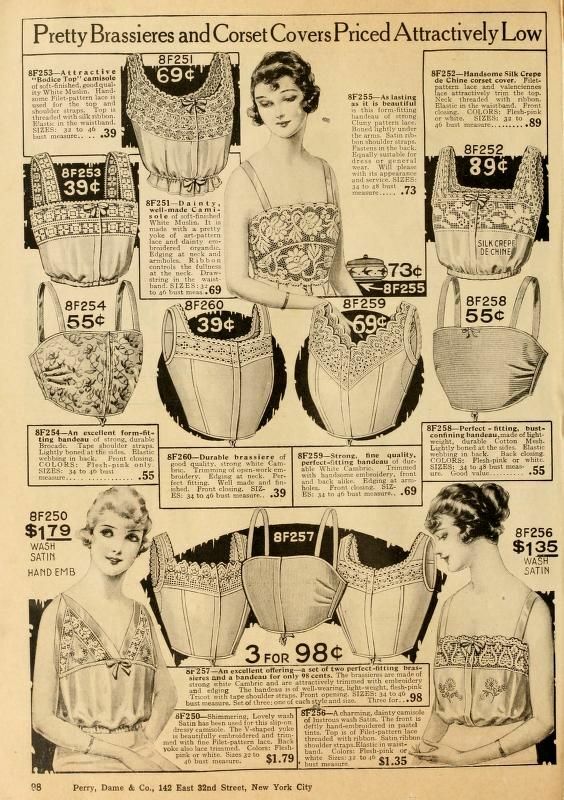 From the very curved, boned early 1910s styles, to the chest-flatterning early-20s bandeaus of these examples can be worn with the Rilla corset or similar 1910s styles. If you do 1910s impressions a lot, what do you do for bust support? 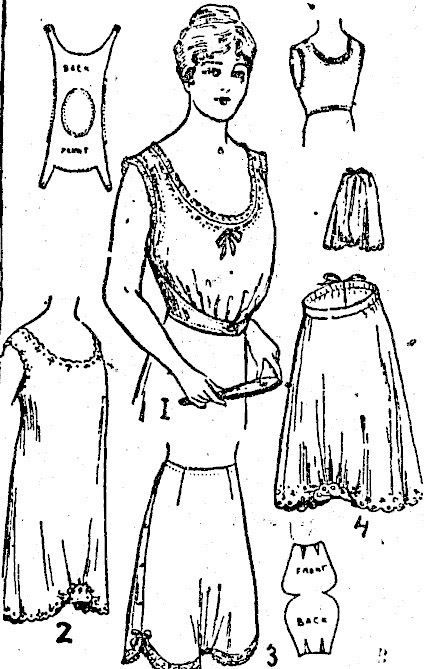 Has anyone else tried wearing just a chemise and 1910s style corset for extensive periods of time and how did you find? Did you ever get used to the bra-less feeling? It took me two days to get used to it, but once I did it felt quite natural and comfortable. Not liking underwired bras I usually wear Sloggi double comfort bra, however I’ve bought an underwired t shirt bra as I’ve lost weight & as you get older everything goes downwards, I found this new bra really constricting. Yes you do get used to things & I too don’t wear one at home sometimes. These 1910 – 20 ones look as though some might be quite comfortable, others not so. How nice to not worry if you were droopy as it was excepted as norm unlike now. Was it women or men who dictated what was normal & what wasn’t? Forgot to say what a really interesting lot of posts. I never knew how much underwear styles changed so quickly. Going braless is not comfortable for me. The jiggling when I walk makes me too self conscious. 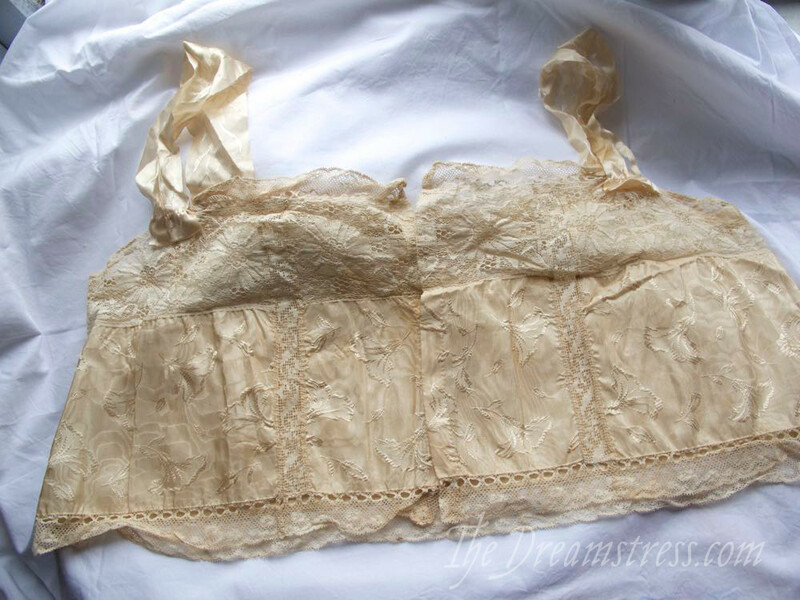 I made the Historically Dressed bra out of a sturdy cotton ticking. Originally I was going to bone it, but it turned out that wasn’t necessary. At the time I was a 34DD, and I found the bra to be very comfortable and mildly supportive. About as much support as a contemporary leisure bra but with a better appearance under clothing. In fact, I’ve worn it under regular clothes a couple of times. I’m not sure I will get used to the bra less feeling. That is, feel comfortable in it. I wear a 32 e European bra and have a firm bust, but as you get older, even if the girls don’t droop, they are not so shapely anymore. I didn’t really like the silhouette in my dinner gown. I can live with the lower look, but I need to make myself a shaped brassiere to control the sideways “shwung”. Eastie westie is just not flattering. And I think it is a shame, since I am quite firm for my age. Amazing how fashion dictates women’s body shapes. I would like to thank you for all the work you’ve done on this. It has been all news to me! I had noticed in pictures of women of today, wearing their modern undergarments, wearing clothes of the 1900’s – 1920’s, just don’t look right. Now I know why. Sorry about being inarticulate and thanks again. I absolutely love these detailed historical posts. I learn so much from reading your blog! Thank you for taking the time to share! Fascinating article and extremely helpful to this quint-D gal. Thank you !